The strategic development and growth of the GoldCoast Academy of Sport is overseen by a committed staff and a highly qualified Board of Directors – all of whom are extremely experienced and well established across many areas of business and sport. As the Founding Chairman of the Gold Coast Academy of Sport, Mick has a long and distinguished reputation as both a player and administrator. He is well known for his international reputation in rugby league where he played for Australia in test matches and numerous international games against New Zealand and Great Britain. Mick represented Queensland ten times and was the first ever rugby league player to represent Queensland and New South Wales in consecutive years. development of a robust sports industry. Mick was always and prepared to put his standards on what was best for the state and his own electorate of Southport. Mick leads by example and his involvement in ‘retirement’ as Chair of the GCAS is now further an extension of his working life. Founding partner of Cambio Group – one of the largest fully integrated financial services firms on the Gold Coast. 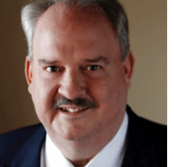 Has completed a Master’s Degree in Professional Accounting and a qualified CPA since 2002. Father of four young boys with all spare time spent involved with many kinds of junior sport. Glynis has a long and distinguished career as both an athlete and administrator. Best known for her gold medals in the Commonwealth and Olympic Games, she is also a teacher, coach and mother. She has coached athletes to World Youth, Junior, Commonwealth, World Championships and Olympic Games. 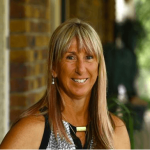 Glynis also works closely with Little Athletics Australia in developing coaching and developmental clinics. Glynis’ love of sport saw her participate in a large variety of sports at school representing her state and district in basketball, netball, cross country and track and field. Her involvement in sport spans well over thirty years as a competitor, coach and administrator. 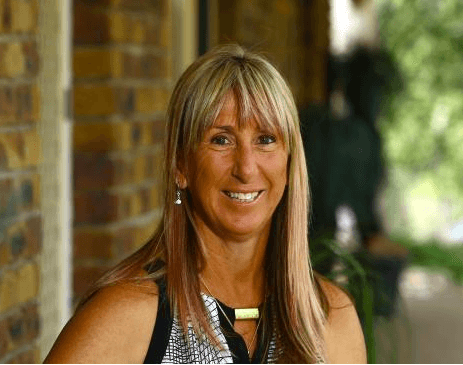 Since retiring from competition to work full time and have a family, Glynis committed her time to coaching and the development of coaching education pathways for National Track and Field Coaches Association where she was Executive Director for 14 years. She is also heavily involved in equestrian sports where her daughter is a state representative. Kristine is a current Professor of Sport Management at Griffith University. Kristine’s passion for sport goes as back to 1973 when she studied for her Diploma of Physical Education at Sydney Teachers’ College. She then went on to complete post graduate Bachelor of Arts qualifications at the California State University at Long Beach in the USA before progressing on to complete a Masters Degree and then a PhD at the Pennsylvania State University. 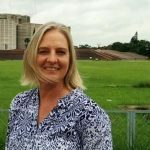 With experience in the successful bid of bringing the Olympic Games to Sydney in 2000, Kristine has been instrumental in ensuring that the current Gold Coast Academy of Sport athletes and ambassadors were included in the bid process that was successful in bringing the Commonwealth Games to the Gold Coast in 2018. In July 2003, at 55 years of age, Paul resigned his position as Chief Executive Officer of Gold Coast City Council, ostensibly to retire from the workforce. Relative inactivity proved a little more difficult to manage than envisaged and until March 2014 he worked in a part time capacity as General Manager of a Civil Construction Company. Originally qualified in accounting in the late 1960’s, his interests quickly turned to management issues on a much broader scale. In 1987, after some 4 years as Shire Clerk at Maclean Shire Council in the north-east of NSW, he moved to Queensland as Deputy Shire Clerk at Albert Shire Council. The amalgamation of Albert Shire with the neighbouring Gold Coast City in 1994 created the second largest Local Government in Australia and Paul was appointed the inaugural Director of Corporate Services. He played an integral part in the establishment of the new administration. In 1998, he was appointed Chief Executive Officer, a position he held until his attempt at retirement in 2003. Nick Scott has been a prominent business figure on the Gold Coast since arriving in the region in 1983. Nick has spent thirty seven years (37) years working in senior roles within the media; much of this time being based in this market. He has held the positions of Director, Group General Manager, General Manager and National Sales Director. Nick has recently retired from his full time position with Southern Cross Austereo; operators on the Gold Coast of television brands Southern Cross Ten, 11 and One as well as broadcasting stations 90.9 Sea FM and 92.5 Gold FM. 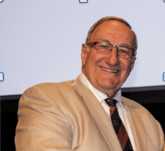 His commitment to the industry has been evidenced by main Board positions with Commercial Radio Australia and membership of national industry bodies overseeing Regional Australia, Research and Sales/Marketing/Codes/Branding. Nick owns and operates his own Business/Media Consultancy ‘TGM’; consulting to local, national and international organisations. He holds a Bachelor of Education from the University of Tasmania. Presently, Nick sits on various local Boards including Gold Coast Tourism, Gold Coast Eisteddfod, Gold Coast Community Fund and Gold Coast Academy of Sport; he has been nominated to a seat on the Legacy Committee for the 2018 Gold Coast Commonwealth Games. Nick has also been recently invited to be an Adjunct Professor/Fellow with the Bond Business School at Bond University. Nick is a resident of Robina and is married to Irene. They have two (2) adult children Thomas and Sarah. Bob is the current director of his private consulting firm Hagley and Associates, an organisation specialising in servicing the hotel, tourism and hospitality industry in Queensland. Bob has over twenty years experience in the international area of this industry and more recently twelve years as director of sales and marketing for Conrad Jupiters hotel and casino (1988 – 2000). Bob has a very keen interest in sport having been a former three-time world sailing champion and is passionate in supporting the youth of the Gold Coast region. Bob brings extensive knowledge and experience to the role of director, commercial partnerships at the GCAS.